CRAYOLA-Regular Size White Crayons. 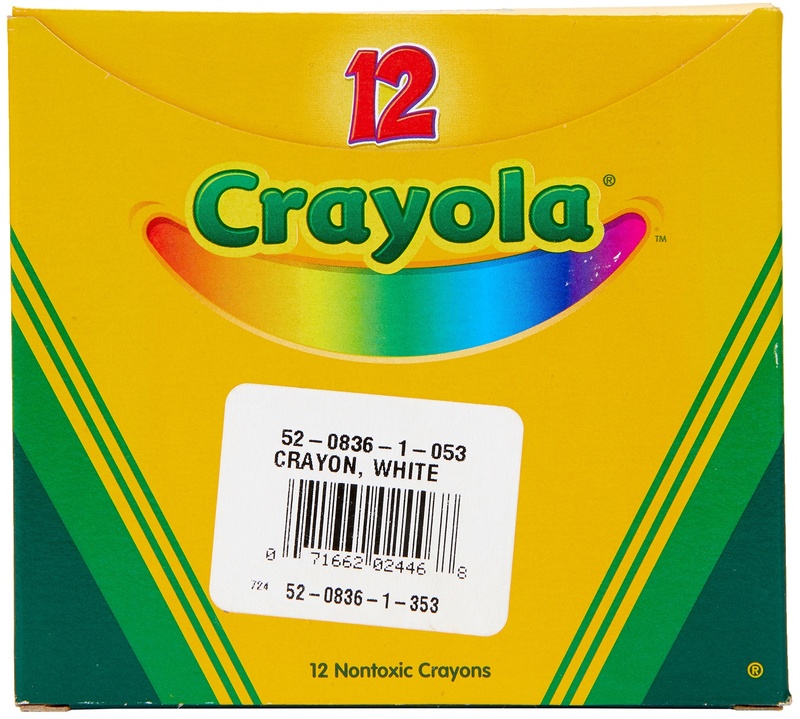 This package contains twelve regular size white crayons. Non-toxic. Conforms to ASTM D4236. Made in USA.